In the busier seasons of life special occasions seem to creep up on me before I've had a chance to prepare for them. 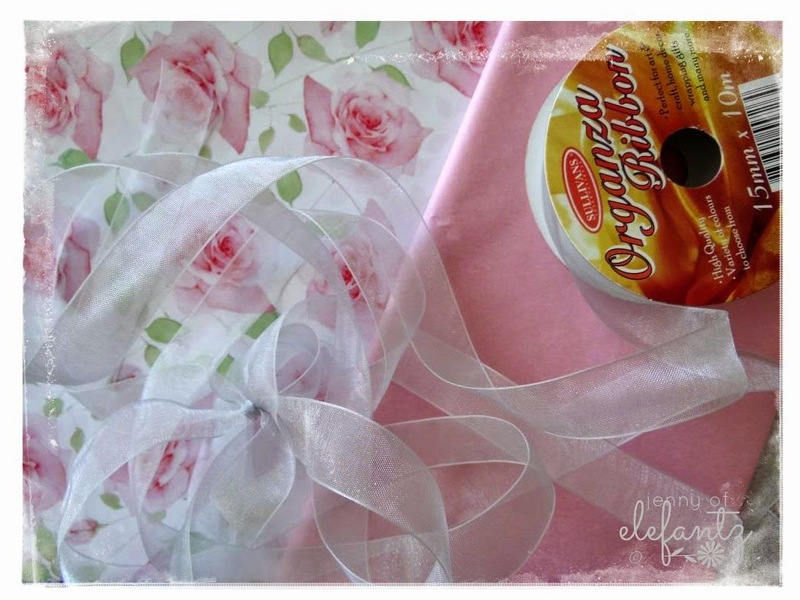 This brings a last minute brain drain thinking what to give, where I can purchase the present/s, and do I have enough wrapping supplies of the right kind? Back HERE I talked with you about my feelings on the importance of writing, sending cards and letters - old fashioned and wonderful snail mail correspondence. Afterwards I gathered together all the unused cards I'd purchased over the years, their envelopes and a large pack of postage stamps, and stored everything in a lovely box on my desk, ready for writing, addressing and posting. Having them right at my fingertips makes it so much easier to follow through when I have an idea to connect with a friend or family member. Yesterday, I made an addition to my correspondence supplies. 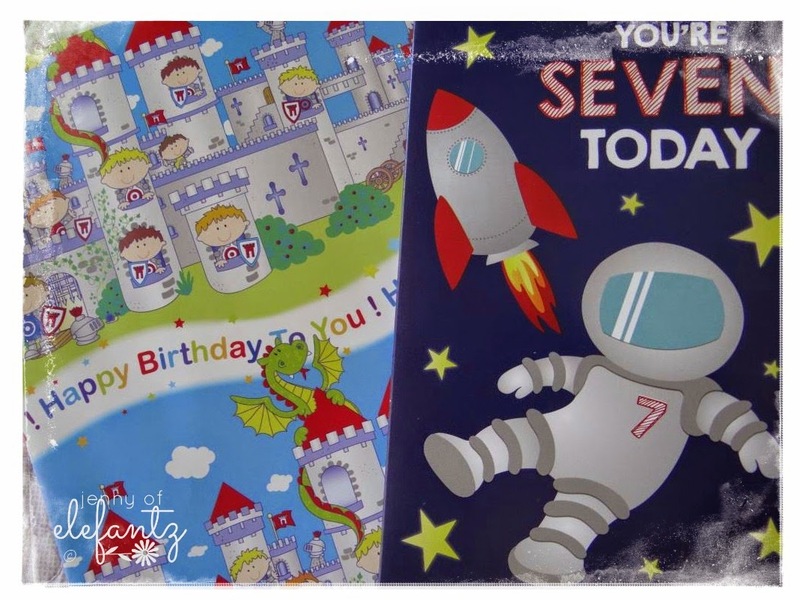 You see, my little grandson Dee is turning seven next weekend and though I had his present purchased I did not have suitable wrapping paper for a fellow of his lean years. Which then gave me course to consider that I did not have any wrapping paper on hand at all, no matter whose birthday it was. Years ago in Australia we had a chain of stores called the "$2 Shop", and though they have long since passed away, we do still have 'cheap' shops where you can buy some lovely things to decorate your home, crafty-style play items for children, candles etc. They also have pretty sheets of gift wrap for just 50c each and a generous choice of children's $1 birthday cards! I didn't forget to add some boy-style paper and a card to my basket of purchases either. In years past Mr E and I have spent some quite substantial dollars on birthday cards for young children and grandchildren that quite honestly get a cursory glance and end up in the bin, so we decided that wasn't the way to go anymore. The extra expense we save allows a little more to go towards the gift (or postage). That's the key to being 'gift' organised I think - having things you'll need in one place, and replenishing the supply every few months as your stash dwindles. Loving this wonderful year and the ideas it brings with it. Well written Jenny. I do the same, although my gift wrapping box is just an old box, not a pretty one like yours! I also have a gift box with bits and pieces, so when I need to give a gift when I am not organised or you need a quick gift I can usually find something in the box that will suit. I have a sewing session every now and then and make up a bunch of nice new hand towels with a strip of pretty fabric and lace, pop a nice soap in with the towel and whalaaa! You have yourself a gift! I do the same style of shopping that you do Jenny and for the same reason!! Even for newborns, weddings and engagements - once upon a time (like way back when I was a baby) there was a trend of pasting special cards into 'project books'. This doesn't seem to happen anymore. But I love receiving beautifully wrapped gifts and I like to give beautifully wrapped gifts - and I also have a present stash of both handmade and bought gifts. Buying when things are on special also helps to be able to give a beautiful gift when birthdays etc roll around! It's always a great idea to be ready ahead of time. 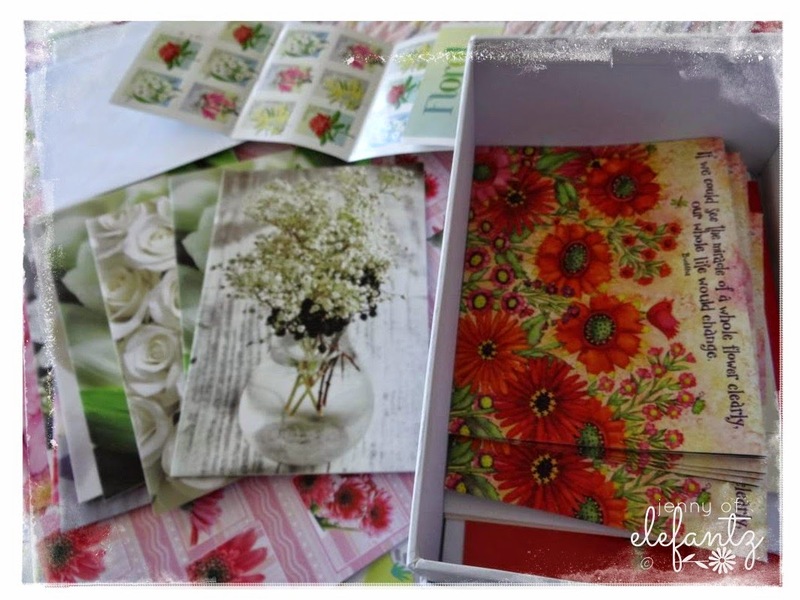 I love the idea of having a little stash of cards and paper, but then you know me, I always love a stash of anything!!!! what a brilliant idea, i gave up gift giving years ago, kids are all grown up now & we just grab the occasional needed items for 'gifts' which usually don't require birthdays or xmas to give them. 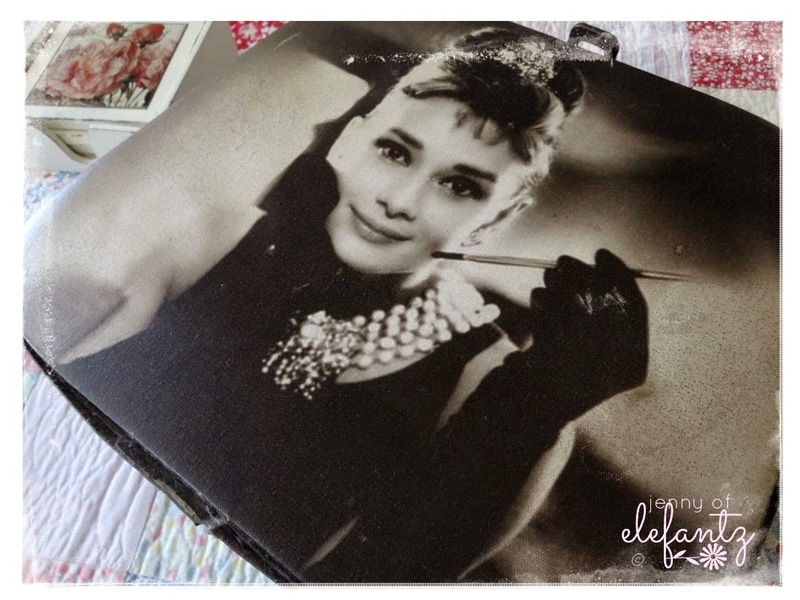 love your audrey hepburn suitcase too. isn't that all that happens with cards? just a glance & never to be seen again? i often wonder why i buy them too. have a collection here as well that different companies keep sending, what a nice idea to just a write a letter in one & send it off. Great ideas. You're inspiring me again! Good organization of much-needed supplies. You have the neatest little things, like that Audrey Hepburn case. She was one of my favorites, and I think that's from Breakfast at Tiffany's, isn't it? Thanks for things to think about. I have about the same idea when it comes to being organised for gifting Jenny :) Only I keep rolls of gifts wrap standing in a plastic box and gift bags are stored in a pretty cardboard box. I enjoy making my own cards so have some supplies for that which I enjoy hauling out and having a card-making session when the mood hits....and my little ones love making cards for birthdays or teachers! Like you I still have postcards, notepaper and stamps. I think a card on the doormat is so much lovelier than an e-mail or a text message. I enjoyed this post. I have my supplies all scrambled around in my foyer closet. I really need to do something pretty and organize my stuff! Thanks for the incentive. A wonderful post! I used to buy gift cards from thrift stores and I stored them in a folder with pockets. I also had a nice collection of vintage wrapping paper. But I haven't kept up and both supplies are woefully lacking. Your ideas have spurred me on. I'm making a shopping trip to the dollar stores to see what I can find! Thank you! I recently went through all by gift supplies when I cleaned out the huge walk in closet upstairs. And once I found everything and got it all organized and together. I discovered I have enough of everything to never ever buy it again for at least the next 5 to 10 years...If I had only been cleaned out and organized I would never have bought all that gift wrap that was on sale after Christmas that I did not need. We can often struggle to obtain presents. They are almost always homemade. Even then you have to buy the supplies to make them. I had stocked up years ago at sales on wrapping paper. It lasted for quite awhile until it began to dwindle last year. We did not have the funds to buy wrapping paper and I was beginning to wander what we would do. One day when I was unpacking a shipment of baking supplies I noticed that the packing material was off-white long paper that had been wadded up. I carefully smoothed it out and rolled it up, later ironing it and re-rolling it. All of our Christmas gifts were wrapped in such paper as I continued to save it whenever I got a package with this kind of packaging. I tied red and white bakers twine around the packages and we thought they looked lovely. It was paper we would have re-cycled we just used it again before we re-cycled it. I also am not much on cards when giving a present. I will usually write directly on the paper. It sounds as if I'm incredibly cheap, and maybe I am. I just would rather any money I have to go towards the present. 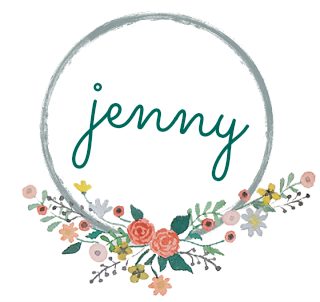 I like how you have put everything together in one place Jenny. My Emily would love your suitcase. I do too. LOL - my mom gave me a lovely box filled with cards for every occasion for Christmas this year, because I'm always running to her when I need a card! A fantastic idea and I love your Audrey storage! The interior space at banquet halls in Miami (we were in the hall downstairs) which is huge (I hate feeling crammed into a space) and a great blend of old warehouse and clean modern elements. Lol! 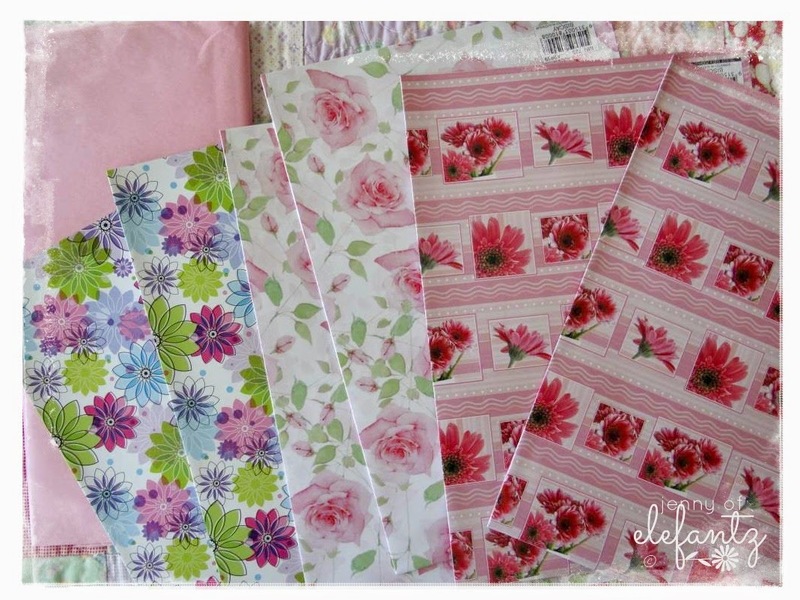 I recognise that boy-style paper - got some last time I went through D&S looking for wrapping paper last year! Since then I've also decided to just get my supplies for that task from there as it's just so much cheaper than some of the department stores these days!! Glad to know I'm not the only one ... actually, that reminds me that I'll need to do a bit of a restock of my supplies in the next month or so - from mid-March, the birthdays seem to build steam and become more frequent for the year!! 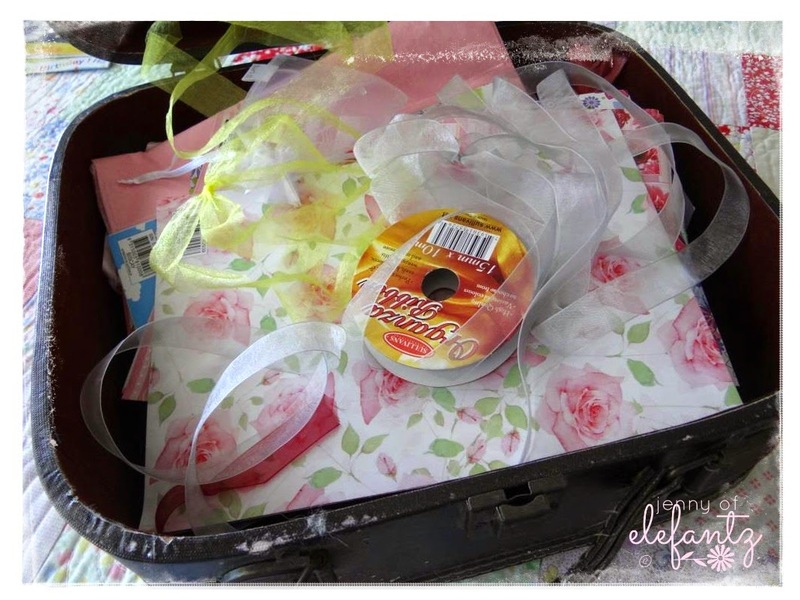 Love the idea of putting everything all together - I think I may even pop a tape dispenser in with mine too! !